Jesus said to Nicodemus, “Truly I say to you, unless one is born anew he cannot see the Kingdom of God” (John 3:3). To this Nicodemus responded, “How can a man be born when he is old? Can he enter a second time into his mother’s womb and be born?” (John 3:4). The response quite simply misses the point, but this is how a literalistic mind works, John seemed to be saying. The Samaritan woman at the well was also a literalist. Jesus asked her for a drink. She responded with a debate about the state of relationship between Jews and Samaritans. Jesus cut through that dialogue by saying, “If you knew the gift of God, and who it is that is saying to you ‘Give me a drink,’ you would have asked him, and he would have given you living water” (John 4:10). The astonished woman responded, “Sir, you have nothing to draw with, and the well is deep; where do you get that living water?” (John 4:11). This was the painful naïveté of literalism captured by this author. Not to be outdone by the literal gullibility of others, the disciples themselves entered the fray in a similar manner. Jesus began to say to this sometimes insensitive group, “I have food to eat of which you do not know” (John 4:33). Incredulously the disciples said to one another, “Has anyone brought him food?” (John 4:33). This literalistic attitude persisted after the story of the feeding of the multitude, when Jesus said, “The bread of God is that which comes down from heaven and gives life to the world.” To which the disciples responded, “Lord, give us this bread always” (John 6:33, 34). When he continued to identify himself in this Gospel with the bread that came down from heaven, his critics countered by recounting his known human origins. “Is this not Jesus, the son of Joseph, whose father and mother we know? How does he now say, ‘I have come down from heaven’? Later this literalistic attitude continued as his critics asked, “How can this man give us his flesh to eat?” (John 6:52). Finally Jesus began to tell the crowds that where he was going “they cannot come.” The text of John said that the Jews responded to this by asking, “Where does this man intend to go that we shall not find him? Does he intend to go to the Dispersion among the Greeks and teach the Greeks?” (John 7:33ff). Later, still speculating, they asked, “Will he kill himself?” (John 8:22). Jesus, said this profound piece of Christian writing to those Jewish Christians being banished from the traditions of their own faith because of their openness to Jesus, was himself part of the secret of divine being incapable of being separated from the God worshiped by the Jews. Over and over Jesus was portrayed as laying claim to the divine name. If you know Jesus, you will know the Father, for the Father and Jesus were one. They were inseparable. To be called into the life of this Christ was to be called into the very being of God. That is the message of the Fourth Gospel…. …In the midst of a painful religious controversy, the Gospel of John made these bold claims. By exploring the divine power present in the Christ, John carried his reader far beneath the level of the literal words and even the historic deeds of Jesus’ life. Those who looked only at the literal level would be as absurd as Nicodemus or the Samaritan woman by the well. Jesus was inviting the world to allow the essence of God to be born in them. The Johannine message was not to be literalized, it was to be lived. How can one worship the source of being, the great “I Am,” except by having the courage to be the self God created each of us to be? The Christian is the one called so deeply into life, into love, and into being that he or she can say with a Christlike integrity, I AM! This Fourth Gospel, born out of decades of contemplation and meditation on the meaning of Jesus, was at one and the same time the least literal and the most accurate. The way it is used by literalistic Christian people today reveals the most profound biblical ignorance and the least understanding of the depth of Scripture. These things are written, this author said in conclusion, “that you may believe that Jesus is the Christ and believing you may have life in his name” (John 20:31). Literalize John and you will lose this Gospel. For that which is literalized becomes nonsense, while truth that is approached through sign and symbol becomes the very doorway into God. It is a pity that those who seek to defend biblical truth so often fail to comprehend its message. This entry was posted on February 24, 2009, 5:32 pm and is filed under Bible, biblical literalism, Christianity, Faith, Fundamentalism, God, Gospel, Jesus, Religion, Spirituality, Theology. You can follow any responses to this entry through RSS 2.0. You can leave a response, or trackback from your own site. Where’s this interview? I’d like to read it. I’m being hypothetical–but I will send you an excerpt and a link with Spong’s views on gay folks–although you probably agree with him. I apologize for placing this in the context of C. T.–but I’ll be darned if I’m gonna let this issue pass!!!!!!!!!!!!!!! But you can bet your donkey I will check for such an interview on my next trip to the Towson Library, and a foray into bound back issues of C. T.
Or was it the Wittenburg Door? The Wittenburg Door makes more sense. I don’t think C.T. has quite the liberal view that Spong has on the issue of homosexuality. Now, for the sake of argument, let’s suppose he is wrong about this issue. Does that undermine his views on literalism? 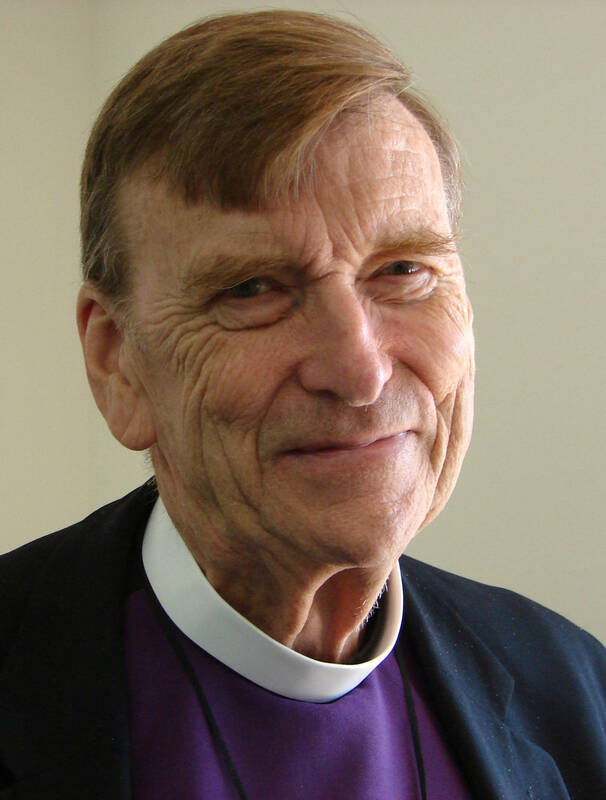 He’s from the South originally, Virginia and the Carolinas, but was bishop of Newark for 20 years. Look, just check Spong’s website (which I have posted above). Seriously, he denies the literal resurrection of Christ? Perhaps he does. Although he does believe in Christ’s resurrection but his take is not exactly orthoodox. I’m not saying that I agree with all of his conclusions. I don’t agree with everything C.S Lewis or Chesterton or McLaren says or Thomas Jefferson or Bill Buckley either. That doesn’t mean that they don’t have some important things to say. I read his take on the resurrection–that Jesus appeared as a phantom to a select group–that His flesh body did not rise. I’ll give in on some literalism, but come on. Why are you on a sudden Spong kick? Kick? I just read this book, that’s all. Was I on a Wallis, Borg, Wright, Cavey etc kick when I reviewed parts of their books? Jeesh. I ‘m not christian but I believe in the prophet Jesus.I agree with you on the point that only looking at the literal level of the message of the prophets are not only absurd but they damage also the image of the religion by their meaningless interpretations.